Weathering is what takes place when a body of rock is exposed to the “weather” — in other words, to the forces and conditions that exist at Earth’s surface. 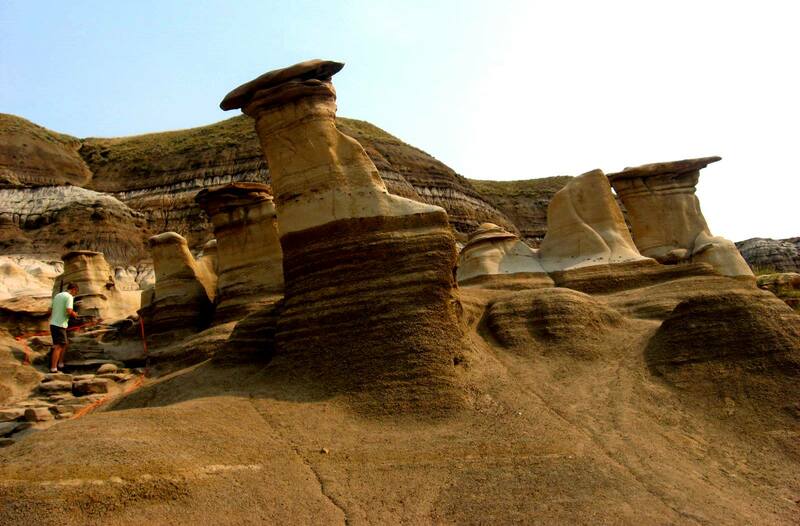 With the exception of volcanic rocks and some sedimentary rocks, most rocks are formed at some depth within the crust. There they experience relatively constant temperature, high pressure, no contact with the atmosphere, and little or no moving water. Once a rock is exposed at the surface, which is what happens when the overlying rock is eroded away, conditions change dramatically. Temperatures vary widely, there is much less pressure, oxygen and other gases are plentiful, and in most climates, water is abundant (Figure 5.1). Weathering includes two main processes that are quite different. One is the mechanical breakdown of rock into smaller fragments, and the other is the chemical change of the minerals within the rock to forms that are stable in the surface environment. Mechanical weathering provides fresh surfaces for attack by chemical processes, and chemical weathering weakens the rock so that it is more susceptible to mechanical weathering. Together, these processes create two very important products, one being the sedimentary clasts and ions in solution that can eventually become sedimentary rock, and the other being the soil that is necessary for our existence on Earth. 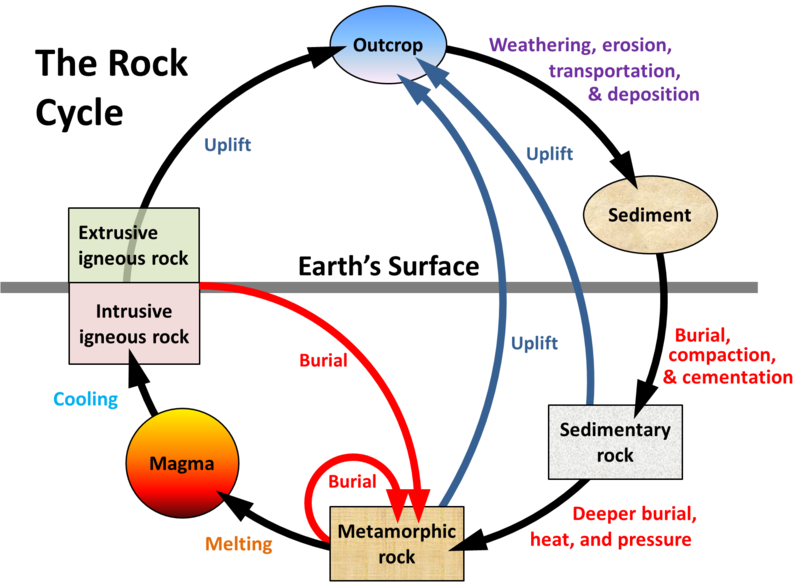 The various processes related to uplift and weathering are summarized in the rock cycle in Figure 5.2. Chapter 5 Weathering and Soil by Steven Earle is licensed under a Creative Commons Attribution 4.0 International License, except where otherwise noted.